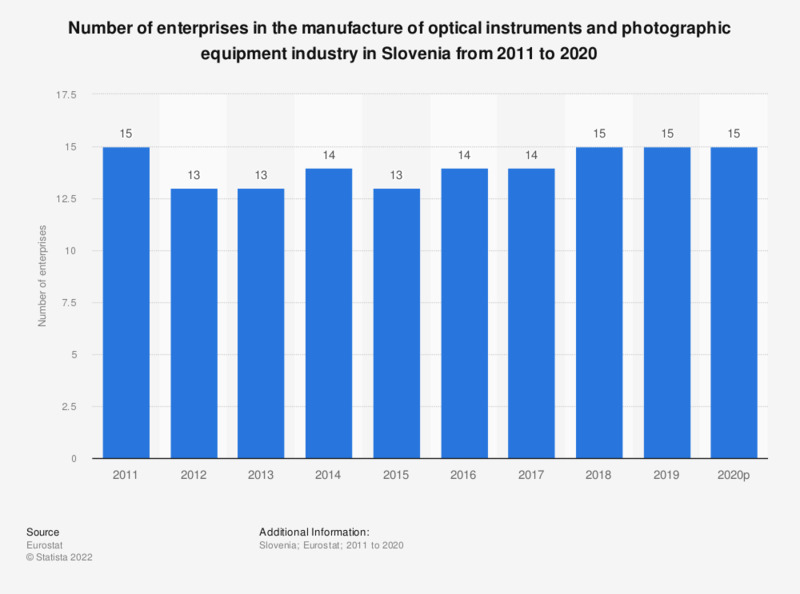 This statistic shows the number of enterprises in the manufacture of optical instruments and photographic equipment industry in Slovenia from 2008 to 2015. In 2015, there were 13 enterprises manufacturing optical instruments and photographic equipment in Slovenia. Data coverage corresponds to Section C267 of NACE Rev 2.